One of the main reasons to raise your own chickens is for the eggs. However, most chickens do not lay in the winter. 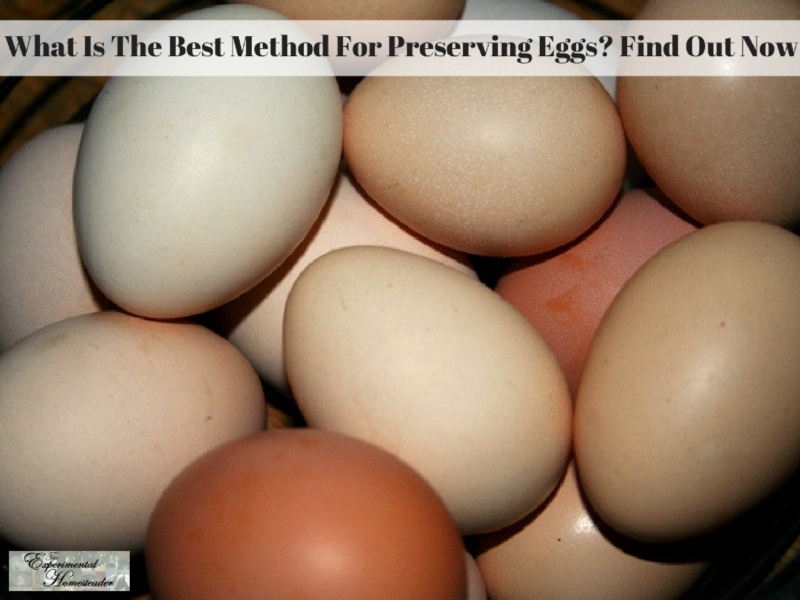 There are many methods people use for preserving eggs for long term food storage. The method I prefer involves freezing the chicken eggs. Eggs keep up to six months in the freezer as long as they are preserved properly and kept frozen. Gather eggs you are going to freeze as soon as they are laid. Once inside, process the eggs and freeze them immediately. 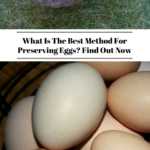 Below I share with you everything I have learned by preserving eggs from my own backyard chickens. If you separate your egg yolks from the whites, freeze the whites in air tight containers. There is no need to do anything to them except remove the yolk. Package according to the number of eggs whites you use for one recipe. Be sure to label the container or package so you know how many egg whites are in each bundle. For example, if you always use three egg whites to make your favorite lemon mousse recipe, package just three egg whites together, or you can package one egg white at a time in individual containers. Ice cube trays work great for this. Simply freeze the egg white, pop it out of the container, wrap it up and label it. Instead of eating eggs that have been frozen, add them to recipes such as this delicious white mint cake recipe where the changes that take place when you freeze them are not noticeable. Egg yolks and whole eggs need to be stabilized before you freeze them. To do this, scramble the egg or yolk and add one teaspoon salt or honey for each egg that is in the mixture. Again, be sure to mark the container so you know what is in it, what preservative you used and how many whole eggs or egg yolks are in it. When you add the eggs to a recipe, be sure to subtract the amount of salt or honey that you added so you do not end up your recipe being too sweet or salty. I personally use salt when I freeze my eggs. Twelve yolks equal one egg. Five eggs equal one cup. Three tablespoons equal one egg. If you want to freeze them individually, make up the mixture, measure three tablespoons into an ice cube tray compartment and freeze. Once the eggs are completely frozen, pop them out, wrap each cube in plastic wrap or freezer paper, put them in a freezer bag and label it. Thaw the frozen eggs for nine hours in the refrigerator. This is the best method. Thaw the frozen eggs at room temperature for four hours. Be sure to use the thawed eggs immediately once they are thawed because they do deteriorate quickly. Remove any large pieces of dirt, but take care not to wash the entire egg. Find a stone crock, layer the bottom with a thick layer of salt, place a layer of eggs into the salt, with the large end down, then cover with a thick layer of salt. You do not want the eggs touching one another. Continue to layer the eggs to the top of the crock, alternating salt and eggs in layers. When you are done placing the eggs you have in the crock, cover the top with a lid or thick piece of wood, even if the crock is not full. You can add more eggs later. Be sure to wash the eggs off before you use them and crack them in a separate dish to ensure they are still good. Always choose fresh eggs. Store bought ones are not suitable for home storage. Also do not store eggs that were refrigerated.